Oh wow…it’s been a good minute since my last post and boy let me tell you…it feels like I’m starting over again! For those who’ve been asking me what ever happened to the blog and what culinary adventures I’m been throwing myself into, suffice it to say that it’s been a wild ride and perhaps I’ll write about it some other time. For now, just know that the Errant Diner is back and has some straight up delisyoso news! I’ll now be posting on the regular and the blog is back in business! You don’t follow me on Instagram?! That’s #FKEDUP! Starting this week, I’m proud to announce my partnership with the Chicago-based Filipino Kitchen and for us East Coasters, homegrown UniPro of New York! We’re cookin’ (pun intended) up all sorts of food-related posts from recipes, interviews, commentaries, and hell…maybe even a listicle or two all in the name of moving the Filipino Cuisine to greater heights (and closer to your tables!). Who knows…that last bit might come true and we might be coming to a kitchen near you. We may be staffed with completely different people of different mindsets and organizations but we do believe in what we’re embarking on (as strongly as I believe that condensed milk has no business being in your spaghetti). Through food, we want to continue bridging gaps within our communities, take ownership of the story of Filipino food and tell it from our perspective, and personally…I just want people to fall in love with food (and each other!) again. So where do YOU come in? Besides showin’ us some love on social media, we’d love nothing more than for you to join us on the proverbial table. Got your own recipes to share? Ever had a Filipino food question that you could never answer (like…who thought up banana ketchup!?) and want us doing some investigative work on? Or perhaps you just think your mom is the queen of all Filipino food and we should know about it. 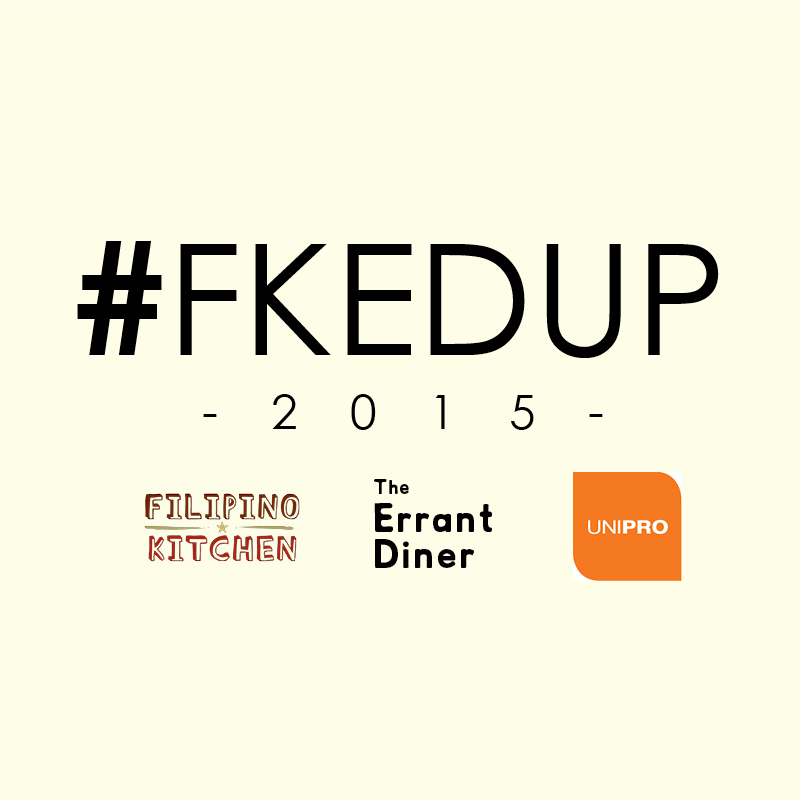 Use #FKEDUP (Filipino Kitchen, Errant Diner, UniPro….get it?) and let’s get to eatin’! P.S. No my blog hasn’t gone all native…I’ll still be posting things true to my mission of having people love what and who they eat with again…this is just a part of my identity that I think has long been in need of exploration.